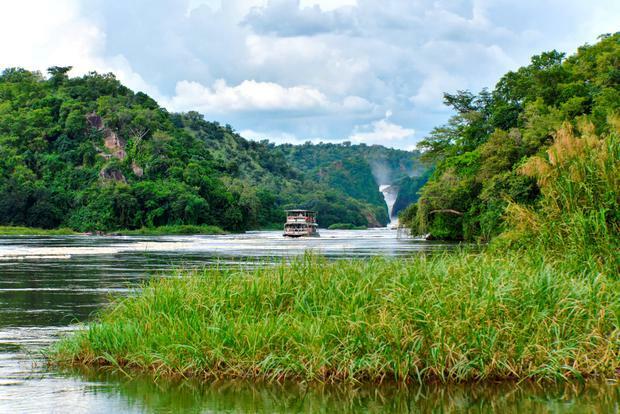 Miriam Donohue explains why she has fallen for Uganda, extending her volunteering trip for several months. It's 5.30 am and the drone of morning prayer drifts from the nearby mosque, waking me from a restless sleep. A fusion of other sounds invades my consciousness. Cockerels crow, Ibis birds shriek, crickets chirp, dogs bark. I can hear a baby's cry in the distance. I open my eyes. My "shroud", a white mosquito net, covers the bed. The heat is suffocating this morning and I am sticky and sweating. No air-conditioning here. Still half asleep I feel confused and for a few seconds wonder where I am. With a jolt I realise I am not at home in my comfortable, cosy bed in suburban Dublin 14. No, I am in Uganda. I lie for a few moments pondering and asking the question I have asked myself several times in the last six weeks. "What on earth am I doing in Africa?" If you had told me six months ago that I would be living in Kampala, feeling so alive and at home here working for Hospice Africa Uganda (HAU), a charity whose mission is to bring peace and comfort to people dying from cancer, HIV/AIDS and other serious illness, I would have laughed. If you had told me that I would be extending my volunteering stint by several months to work as a consultant with HAU I would have said you were mad. What me? The hard-bitten, driven, cynical journalist and media woman off on a mission to help the dying? Never. But life takes the most unexpected twists. Things happen that are out of our control. At 51 years of age, and with both kids reared, personal circumstances took a very sad turn for me and my life turned upside down. So here I am. In Africa. I am no stranger to travel. As a journalist I have been lucky to have seen many interesting places around the world. I am a former Irish Times Asia Correspondent, and was based with my family in Beijing for two years. Every day was an exciting new adventure there. I was the first Irish journalist to get into North Korea. I travelled to the Philippines, Laos, Cambodia. Vietnam, Thailand, Malaysia, Japan and Hong Kong as part of my job. And for three months I covered the war against terrorism after the September 11 attacks in New York, based first in Pakistan and then in Afghanistan when the Taliban were routed by the Americans. After a hectic career (Irish Times news editor, travel editor, features editor and a stint on political reporting followed after I returned from Asia) I came to a full stop. I was burnt out, and at 45 I took a generous redundancy package and left full-time journalism to do media consultancy which I combined for the last three years with a regular column for the Irish Independent. I first came in touch with the hospice movement in 2013 when I was asked to edit a fund-raising book for the Irish Hospice Foundation (IHF). I admired the organisation and got an understanding about end-of-life issues and palliative care. The following year I took up a one-year contract with IHF, working as their communications and advocacy manager. And that is how I met the person who I hold largely responsible for my being here in Africa. The eighty-year-old Nobel Peace Prize nominee Dr Anne Merriman is an inspirational woman, one in a million, internationally renowned for her work bringing palliative care to Africa. Born in Liverpool, she joined the Medical Missionaries of Mary in Co. Louth in the 1950s and went to medical school in UCD and qualified as a doctor. 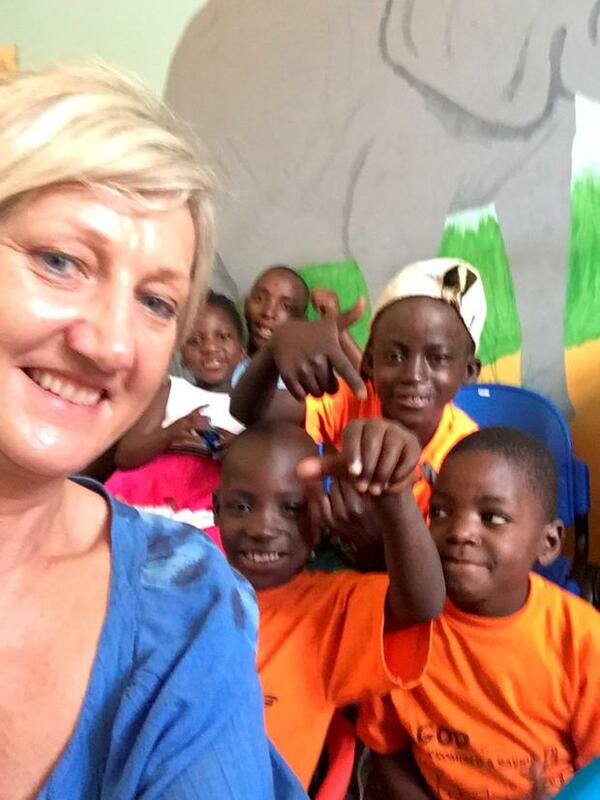 After spending time working in Nigeria, Britain and Singapore, she set up Hospice Africa in 1993, and then Hospice Africa Uganda, which was to be the model for palliative care for developing countries with limited resources. By this time she had left the MMM Order. Starting with one patient and enough money to pay three staff for three months, today HAU employs 85 people and cares for around 2,000 patients a month at its three centres in Uganda. All of its services are outreach and care is delivered in people's homes. HAU is also educating doctors and nurses from many other African countries in palliative care at the Institute of Hospice and Palliative Care at its base in Kampala. Spreading the knowledge is how Dr. Anne sees palliative care reaching all corners of Africa. Health care in Uganda is very undeveloped; 95 per cent of people who get cancer will not access chemotherapy or radiotherapy, let alone see an oncologist. There is only one radiotherapy machine for the entire country with a population of 36 million, and that is often broken. There is still the scourge of Aids, although Uganda has led the way in Africa in tackling the virus. Now approximately seven per cent of the population is infected, down from a high of more than 30 per cent. With treatment and cure for cancer and Aids and other serious illness at such a low rate, palliative and end-of-life care is all important. Oral liquid morphine is key to helping HAU staff provide peace and dignity to desperately ill people in their last weeks and days. Dr Anne devised an oral liquid morphine formula when she worked in Singapore. She introduced the morphine to Uganda and it is made on site at the HAU headquarters and dispensed to patients on home-care visits by specially trained doctors and nurses. The morphine relieves pain and stabilises patients, ensuring their last days are more bearable for them and their families. HAU manufactures enough oral liquid morphine to meet all the demands in Uganda today, funded by the Ugandan Government. I met Dr Anne in 2014 when the Irish Hospice Foundation hosted a reception in Dublin to mark her Nobel Peace Prize nomination. I was blown away by her remarkable story, her vision and her energy - but was concerned to hear how she had to battle to raise funds so HAU would survive. We met again in Dublin last October. We discussed her needs here in Uganda. HAU had a clear need for a communications and advocacy expert to work with its fundraising unit. I had skills HAU could use and was in a position to travel. So it was settled. I would come to Uganda after Christmas as a volunteer for six weeks to help put a communications, advocacy and fundraising strategy in place. My first few days in Uganda were quite a culture shock. All the travel I had done in the past did not prepare me for Kampala; its dry heat, dusty pot-holed roads and chaotic traffic, the poverty, and the warmth of the people. I was staying with Dr. Anne, whose house is full of fun and love. Happy chaos! She has 10 dogs, five cats and her extended family, the three girls who work for her (all single mothers) and their gorgeous kids. The HAU team are also a big family. I was greeted warmly by everybody on my first day at headquarters before the daily morning prayers at 8am, complete with singing and drum beating. There is nothing like being thrown in at the deep end, and as part of my induction I went with a Home Care Team, made up of Dr Stephen, Nurse Rose Light and a community volunteer Portius, to visit patients. 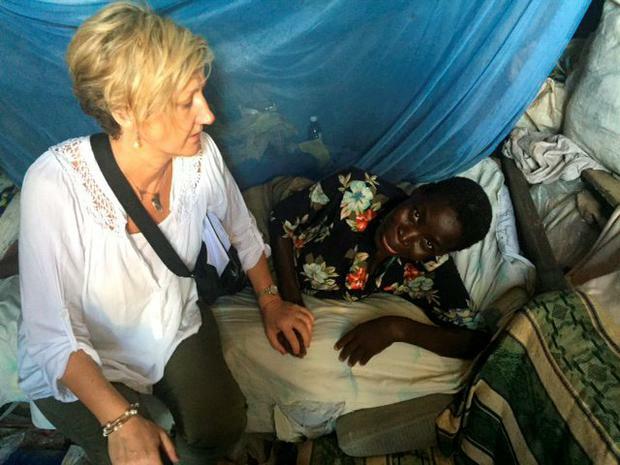 We go to Busaka, a poor slum area of Kampala to visit a very ill patient, Margaret. She has HIV/AIDS and cervical cancer and is living in a mud hut in a swamp area which gets heavily flooded during the rainy season. When we arrive Margaret is lying outside on a mat in the baking heat. Her 17-year-old daughter Mary is caring for her. She says she can't afford the fees for school (education here is not free - don't ever complain about the Irish health or education system again). The team gently lifts Margaret into her one-room home and put her lying on a mattress. There is no food and no money to buy any. Morphine is dispensed. The team leave a little cash and some supplies. There is a discussion about getting money to pay Mary's school fees so she can resume her education without which she will have no hope once her mother passes away. At the end of the visit, Dr. Stephen invited Mary to say a prayer. I was amazed to hear her thank God for all the blessings he had bestowed on them. Her mother was dying of cancer, they lived in dreadful conditions, there was no money for the next meal and she still felt blessed. The next patient is Norah who has breast cancer. Her family raised the funds so she could have one round of chemotherapy. There is no money to continue the treatment and she is deteriorating. She takes off her dress when we arrive in her two-room house and her infected tumour is exposed. I nearly get ill. The same stories repeat themselves day after day in my first few weeks. I come across desperately poor and ill people for whom the Hospice Africa Uganda care teams are like angels. Without the morphine they would be in agony facing a traumatic end. I come to truly realise the meaning of palliative care and "hospice". In Ireland when we hear of hospice we think of a building where people go to die. Here in Uganda, hospice is a philosophy - to care for loved ones and to allow them die in comfort and peace at home. What is really sad are the children. Every Tuesday a dozen or so come to the HAU day care centre for respite. Some are doing well and are stable. Others, such as Josephine, are not so well. She is seriously mentally handicapped and is wheelchair bound. Yet she greets me every Tuesday with a screech and a smile. I become friends with 22-year-old Shammim, who has cancer in the face but with the help of hospice she is doing really well and helps with the younger children. The "playroom" has very little - broken toys, odd lego parts and jigsaw pieces, outdated books. No art materials. I do an appeal on Facebook and am heartened by the many offers of used and new toys for the children. The Irish are everywhere and it's no different in Kampala. Dubliner Joan Kelly has been here for years and runs the Yellow Haven Resort overlooking Lake Victoria with her husband Ronald. She is chair of Hospice Africa Uganda. One of the HAU patients is 90-year-old Franciscan Missionary nun Sr. Cosmas, or Dympna Cullen, from Churchtown in Dublin. She came to Uganda in 1947 and is being treated for breast cancer. As the time to fly home drew nearer I knew I wasn't ready to leave. I could not believe how quickly I had settled in and how connected I was with Uganda, the people, the culture and most importantly with HAU and their mission. Yes, it is tough going at times. I have bouts of homesickness. But I was finding a peace here. And what is a few more months out of a lifetime? So another chat with Dr. Anne (who at 80-years-of-age has more energy than I have) and it has been agreed I will stay until May. Not entirely as a volunteer - they will pay my accommodation. I won't need much to live on beyond that. I am hoping to use the time to put necessary communications and fundraising systems in place to ensure the organisation survives and sustains. I have also been given a special responsibility here. Lydia, who works for Dr. Anne, has a two-year-old daughter Pearl, and this week gave birth to baby Liam (a name inspired by the Irish Hospice Foundation Bereavement Services Manager, Dr. Susan Delaney, who visited here recently). Lydia plans to have both children christened next month and I am to be Pearl's godmother. My very own African daughter. So once May comes, who knows? Powerful is the pull of Africa. Everyone on this planet deserves to die with dignity, no matter their race, creed, or background. I am currently in Kampala volunteering with Hospice Africa Uganda, an inspirational organisation that works to ensure people in one of the poorest parts of the world have the chance to die in dignity and pain-free. It costs just €25 a week to care for a cancer patient, and provide them with liquid morphine for pain control. That is €100 a month. My initial target here was to raise €3,000 which was exceeded. I have now increased this to €5,000, a figure that will help care for around 50 cancer patients in one month. Donate here. Thank you, Miriam.